Home / The Metal Avenger THOR Is Set Loose Again With A Deluxe Reissue Of The Legendary 1983 EP Unchained Plus A New Documentary Film! 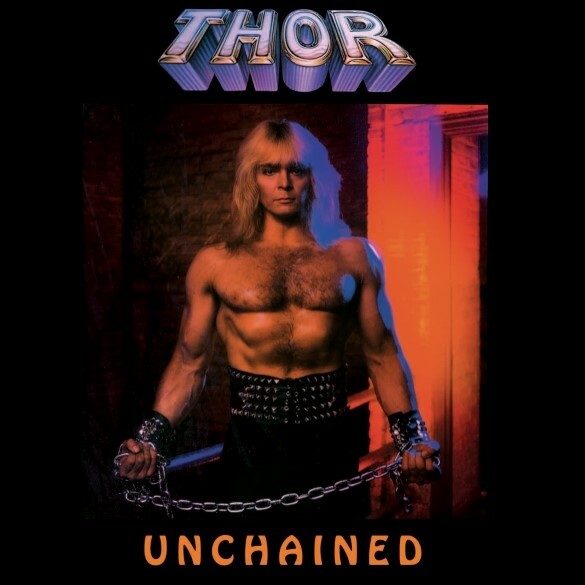 Los Angeles, CA – Classic metal fans are in for a treat as the muscle-bound thunder god of heavy metal, THOR, sees his pivotal 1983 Unchained EP reissued on both CD & Vinyl with amazing bonus material. Unchained is the EP that put THOR atop the Mt. Olympus of the metal music world with unforgettable, fist-pumping metal anthems such as “Lightning Strikes,” “Anger,” and “When Gods Collide.” The CD comes with 12 rare bonus tracks including the ultra rare 1982 Unchained master recordings. The bonus DVD contains 2 full hours of metal mayhem featuring the “Anger” concept video with behind the scenes footage as well as vintage concert performances from 1982-85. The special limited edition vinyl release comes in either blue or orange colored vinyl, includes the 1982 masters, and also contains a 20-page comic book reproducing the original Unchained comic plus additional unpublished art. These are truly deluxe editions worthy of the gods! And they will be available starting March 31 only from Deadline Music! 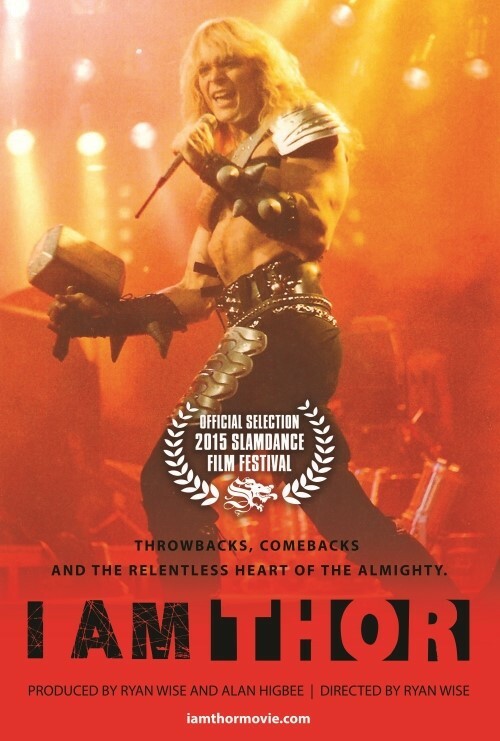 To coincide with these exciting reissues, THOR will be hitting the road, performing at select engagements alongside theatrical screenings of I AM THOR, the brand new documentary film about THOR’s incredible 40+ year career from award-winning body builder to mega-sized rock star to wacky B-horror movie actor! The film is an official selection of the 2015 Slamdance Film Festival and earned solid reviews from Variety and Slug magazines. These very limited, multi-media events begin in April and will continue through September. See below for details and check www.thorcentral.com for the latest news! And stay tuned for a BRAND NEW studio album from Thor entitled The Metal Avenger coming this Fall!